Play the part of the great Leonardo da Vinci! Great Secrets: Da Vinci was available as a giveaway on August 27, 2016! Play the part of the great Leonardo da Vinci! Embark on an exciting life-long adventure through his diary, where you will discover great mysteries within its pages, meet famous people of his time, find new knowledge, and possibly discover the secret of the Philosophers Stone; which can turn anything to gold! Dont miss the opportunity to visit the most distant, secret, inaccessible or long-vanished places reflected in the pages of da Vincis diary! Enjoy your travels! How would you improve Great Secrets: Da Vinci? I suggest that the game needs a relaxed mode. Inform users that the game is registered to them. I'll continue to moderate in the morning. Need to go to bed. If you have problems please check the comments below from the community, especially if you're having the disappearing cursor problem. Also check the FAQ's thread over in the Game discussion forums. I've linked to it in my review at the top of the comments. If you like or don't like today's game please give some feedback detailing why you like or don't like the game. How it could be improved from your point of view . If you don't like this genre at all, explain why. There are still thousands of subscribers to the game giveaway of the day every weekend which makes this an ideal forum for giving developers ideas as to what their consumers (i.e you) would like to see in a game. For example, you could suggest extra content such as better or more original mini games, or a level editor that you would like to see that would make it more appealing to you. Maybe you think the graphics are a little dated and are in need of re skinning, or maybe you've just had enough of the genre and want top see something with more originality? If you miss today's game giveaway you can always get the game via MyPlayCity (MPC) 24/7 HERE. The only difference between the main MPC download and today's game giveaway is that some of the 'annoyances' such as check boxes have been removed. The game still opens your browser to MPC's home page whenever you close the game down. the reason for this is becasue MPC have to pay the owners of the games for being allowed to give then away for free. Every time your browser is redirected to MPC's home page MPC earns cash, some of which goes to the developer. Would you like to discover some secrets? Do you want to touch the enigma from time immemorial? Now you have this unique opportunity! You'll certainly evaluate the Great Secrets - Da Vinci - a game that is full of mystery and can unveil the secrets of the dark ages. Taking part in this catching adventure you go through the days of Leonardo da Vinci, and get a chance to thumb his diary! Day by day, page by page you will dive into the world of this great man, learn his secrets and, probably, you'll be lucky enough to find out the mystery of the Philosopher's Stone! During the game you have to solve numerous puzzles, which require great concentration and attention. 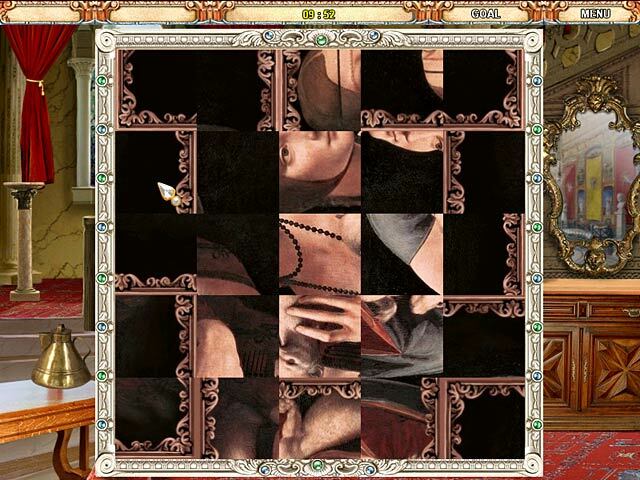 In Great Secrets - Da Vinci you'll be offered to find some necessary subjects in the room, differences in two apartments, and even to reconstruct outstanding masterpieces of the world painting piece by piece! Remember, that you should solve the riddle of an eye-teaser during a certain limit of time. You are confused and don't see any way out? Stop panic! Bear in mind that you shouldn't blindly click you mouse on the objects. Be careful or you will get the penalty and the time of the game will be decreased. If you are in trouble just use a hint and you'll see the sought thing at once. Remember, that you won't be able to choose this option very often. Hint needs some time to become active again. 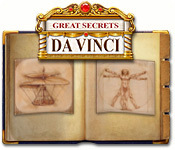 With Great Secrets - Da Vinci you won't notice how swiftly the time runs! I finally got my main computer working after several weeks of fault finding, ordering parts etc. Turns out not only had the motherboard been fried, but the graphics card had as well. Once all had been fixed I also had to purchase a copy of Win 10 as the free copy of Win 10 I'd installed previously is as most of you know, no longer free (as of the 31st July 16), and because DX 12 is on it's way soon I wanted a copy of Win 10 instead of Win 8.1, so the total cost of repairs came to almost £900, not counting the cost in time and lost programs (lost virtually all of the programs I've downloaded from the giveawayoftheday over the last year). If I'd have known how much it was going to cost at the beginning, I could have picked up a decent gaming rig via eBay for around the same price. I've only just sat down and checked this weekends game giveaways, so, instead of spending a few hours playing the game, then another several writing up a review, I've posted the review I found on Gamezebo, which is rather negative, but it's the only review apart from short comments from Big Fish community members that I could find at short notice. The “great secret” to which the title refers must be that there was nothing at all fascinating about the life of the famous Renaissance painter. Although the genius of Da Vinci led him to accomplish great things in nearly a dozen scientific and artistic pursuits, Great Secrets would have you believe he spent most of his time picking apples and tidying up cluttered rooms. The story, such as it is, follows Da Vinci from his days as a young apprentice into old age. As he journeys through life, meeting such notable personalities as Amerigo Vespucci (who died 40 years before Da Vinci was born) and traveling as far east as China, he gathers the clues that help him discover the Philosopher’s Stone, a legendary substance capable of turning inexpensive metals into gold. It was also sometimes believed to be a way of making people younger. Unfortunately, the story-line is unrelated to the actions you perform while playing. 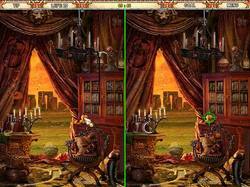 Rather, as you progress through the game’s 14 chapters, you’ll scour the screen for hidden objects that have nothing to do with finding the stone, look for the differences between two versions of the same scene and play simple mini-games. For example, not long into Great Secrets, you learn by reading Da Vinci’s diary that he’s moved in with his uncle, who regales him with stories about the stone. While you might expect the next level to involve something related to the legendary concoction, such as finding pieces of paper containing a supposed formula, you’re dumped into a typical seek-and-find scenario and told to “Find all the birds.” Huh? Are they carrier pigeons delivering instructions from the pope for creating the stone? No, they’re just birds, and you have to find them. If you can’t locate all of them, don’t worry. You get one hint up front, and once you use it, you’ll get another one in 60 seconds. Since you’re given nine minutes and 59 seconds to complete each level, that comes to nine hints per stage, which is pretty darn generous. Although you have to find more objects per stage as Great Secrets progresses, I rarely dipped below the five minute mark. In fact, I finished the game in less than three hours, which isn’t enough time for the asking price. The mini-games, of which there’s one per chapter, involve either memory-matching tarot cards or clicking the pieces of one of Da Vince’s paintings into place. There are two versions of the latter game, one of which involves clicking on a piece and then clicking where you think it goes, and another that consists of rotating a piece until it’s turned the right way. I had a little fun playing the first game, but with regard to the second one, how much easier can casual games get before they’re no longer considered games? At the end of the day, that’s the problem with Great Secrets; there’s no challenge and nothing unique to do. 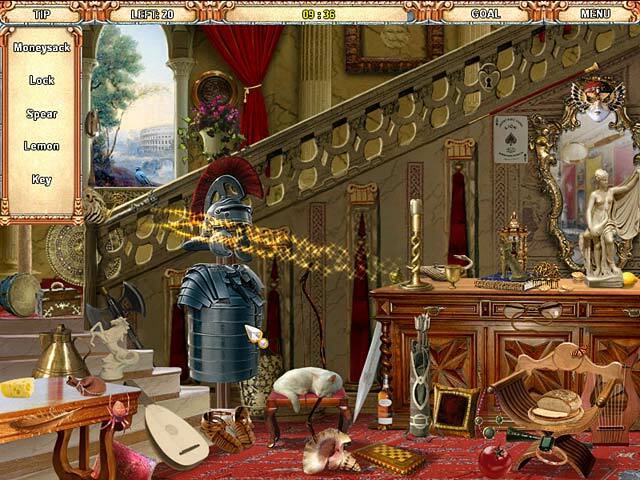 Once you’ve played the first chapter, or any other recent hidden object game, you’ve experienced everything Great Secrets has to offer. From there, it quickly grows monotonous. For die hard fans who insist on trying every hidden object game or for casual users who enjoy a no frills experience, a few more caveats: First, some of the item descriptions are very vague due to translation issues. For example, I spend about a minute looking for a “clew-balle” when the ball of yarn was right in front of my nose. A hint took care of that. Later, I was told to find a “candle stick” that was actually a candle holder, a “sandwatch” that was an hourglass and a “stick” that was a fork. You won’t run into so many of these you can’t finish a level, but they do make you appreciate developers that properly localize their games. You also have to be very precise with your clicks, which wouldn’t be a problem if the game didn’t penalize you 20 seconds for clicking too many times without hitting home. You’ll also run into instances where you’ll be asked to find an object, such as a plate, and even when you find one, it might not be the plate you’re supposed to click. There are also occasions when the item to be found is almost impossible to see without a hint. (A red frog planted among roses comes to mind.) And no review of Great Secrets would be complete without mentioning the anachronistic appearance of the modern No. 2 pencil in several scenes. I also liked how the Mona Lisa showed up on the wall of a storage area in the Vatican, but I really should stop harping on the game and bring this to a close. Essentially, Great Secrets comes across as an attempt to cash in on the Da Vinci craze that started with the Dan Brown novel. That would have been fine if the idea had been wrapped around a game worth playing. You can see videos of game play HERE (access to 25 other walkthrough videos via this link), HERE, HERE and HERE. I've not played the game long enough to give an informed conclusion at this time, howver I did play through to chapter 2 and found most of the mini games and HOG puzzles were very similar throughout, for example spot the difference came up a couple of times as did find all of the - apples, butterflies, birds etc. The graphics were pretty dated (most newer HOG's tend to be hundreds of megabytes in size, whereas this game was only 24MB fully installed. I found the puzzles and mini games very easy, so this would be ideal for younger children and/or adults that have rarely played such games. For those very familiar with, or who love Hidden Object games, i think you'll find this one a little disappointing. The following is taken from Gamezebo. Sorry for the lack of commitment today; I'm just happy that I've 'finally' got my main computer up and running. Now I've got to spend some time reinstalling all of my favorite applications or at least re-activating them. The Good - Some cleverly hidden objects. Relaxing classical music. Uncomplicated game play for those who want it. The Bad - Repetitive. Lacks innovation. Vague item descriptions. Overly generous time limits. I'd like to take this opportunity to thank MyPlyCity for giving away Great Secrets: Da Vinci minus the checkboxes and also to the game giveaway team, as always, for providing a safe environment to download free games. I've updated the games section that used to be posted with the review. The thread is now called 'Weekly round up of game deals', formerly the games section of the weekly reviews. You can find the new thread (which I've posted in the sticky section of the game discussion forums to make it easier to find if you are perusing the game discussion forums) HERE. The latest free game over on Origin is still Nox. You can get it HERE. Please note that you do require the Origin game platform to be able to download and install the game. uPlay were giving away Rayman:Origins last week. not sure if it's still available, but if it is, you'll get it HERE. Apparently, uPlay are now following Origins lead and giving away a game every so often. If today's game wasn't to your liking, you may find other games either free or for less than the price of a cup of coffee (from your favorite coffee house) via the 'Weekly Roundup of Game Deals' thread which I've posted a link to above, or HERE. I've not forgotten the keys I owe to some community members. Because of my computer woes, the list of keys I have were locked away. Now that my main computer is now working hopefully I'll be emailing those keys to you very soon, (finally). If you think you have a key coming for commenting on a game back in June, please remind me over in the game discussion forums, and mention the comment you made, thank you. I want to make sure i've given out all of the keys I promised. Hopefully, once I've cleared those up i'll offer more keys as there's still quite a long list in the thread I posted in the Game discussion forums. Once the review site is open I will still continue to post my reviews here first every weekend and moderate as always. I'm hoping the new site will invigorate me, which can only be a good thing with respect to my reviews here, as I have lost a lot of impetus over the last few years, and especially recently since the changes. I will be having regular giveaways of my own on the new site, but nothing like what we get here as my giveaways are all paid for by me and will be limited to one or a few of each game offered. I do have several keys for some games, but most of the keys are one offs or at the most a couple of keys for each game. As mentioned previously, I have around 10 000 Steam keys and several hundred other keys for other platforms such as Origin, Itch.io and Desura, many of which will be up for grabs. Most of the games are low budget indie games and arcade games (up to $20), but I do have lots of more expensive indie and AAA game keys to give away, (most will be awarded in exchange for appropriate reviews and other comments about games in general). Some of the AAA games I have spare that will be available to the community include X-Com:Enemy Unknown, Civilization V, Aliens vs Predator, ArmA II & 3, Batman Arkham City and Arkham Origins, Baldurs Gate Enhanced, Deadly Premonition, Battlefield 3, Gas Guzzlers Extreme Gold, All three of the original Company of Heroes, Defense Grid 2, several copies of Call of Juarez, Disciples II: Gallean's Return, King Arthur - The Role-playing Wargame, Max Payne 3, Dragon Age Origins, Far Cry 3, Front Lines: Fuel of War, Grid, a couple of the GTA titles, Rage, Omerta - City of Gangsters, Mount & Blade: Warband and lots of others. I haven't posted a list of my Steam keys, but you can see the spare games I have in my main Steam account HERE , there are roughly 350 games, quite a few of which will be up for grabs at some point in time. There is also massive collection of indie and arcade titles that are unlisted (as yet) available as well. I've been trying to list all of the games i have spare, but it's already taken me almost a year since i started listing them and I'm still not halfway through the spare keys i have. Once listed I have to put them in alphabetical order. Anyone know of a program that can do that automatically? If the link won't post or come through, it's called The Alphabetizer. whiterabbit-uk, here is one: http://alphabetizer.flap.tv/index-old.php If the link won't post or come through, it's called The Alphabetizer. Started the game. Went to options to check the cursor and it went fine. I can't, however, make the game fullscreen. The only way I can play is with full screen because otherwise it is hard to see. Hi ML, It could be your screen resolution that is causing the issue. The game is several years old and was created around the time Win 7 was being released, so probably wasn't configured for the operating system. What do you have your screen resolution set at? Downloaded ok. Unzipped fast, loaded up fine, Cursor disappeared! Brand new Windows 10 machine. I really wanted to play this game, but I will have to delete it because I have no control to even change the custom cursor. I needed to reboot the computer to end the game, so I could use the computer. Hi CB, the games wrapper contains Themida code which is often seen as a threat by some security software. Your anti malware suite is most likely blocking the installation of the game due to the wrapper. Any warnings will be false positives. The only way you will be able to install the game is to either configure your anti malware suite to allow the program top run, or turn off your security temporarily. Yes, as you've said many times, to turn off security. My question was how to do that. tried Playcity, and also with Akhra. Again error. This time because imbedded ads. A relaxed mode would better fit into my play style. I often cannot just turn on a game and do nothing else while a meter is ticking away! Sounds like I typed 65 instead of 64 bit. Thanks to the moderator for changing it for me. 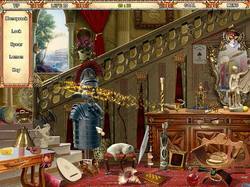 I used to like hidden object games, but for several years I haven't been able to enjoy them because of my poor eyesight. The one exception is Clutter, which was given away here recently. I've been addicted to it every since, even though it's hard to see some of the playing fields. If I get my cataracts removed in the next year, maybe I'll enjoy HOGs again. My all-time favorite genre, though, is Match 3--especially Call of the Ages and Cradle of Rome 2. Until I got Clutter, those two have been all I've played for the last year. I like Match 3 because there are so many ways to play them, depending on what you choose to match. I'm retired, so I can spend as much time playing computer games as I want, especially when I'm stressed out and want to relax. Hi Laurie, good look with the cataract op's. I used to work as an ophthalmic nurse and have seen many operations over the time I worked at the eye hospital (Manchester Royal eye Hospital), one of the most memorable things I remember while working there are the comments many patients made when they had had their cataracts removed. Usually one of amazement at how clear things were. Thankfully cataracts are not common in my family. I hope your operations are sooner than later. A puzzle/HOG game that my daughter got a bit bored at quickly, but younger children or fans of this type of the game might like it. Did play smooth and had some decent graphics. Cannot play this game. No cursor visible. Would not run in full screen on Windows 10 laptop. Click on Full Screen and it would give something about XBox settings. I didn't get the Xbox message but otherwise I have the same issue. a fairly ordinary HOG - not sure what the developers want to know about such an old game. I needed to use a hint on every level because some of the objects were practically invisible. Cathy Leov, I agree with this. It really does need a relaxed mode. The native full screen is problematic without resolution tweaking. Windowed mode makes the game harder since somethings I looked for were nearly invisible. I'd give it 3 or 4 out of five stars for above reasons. Hi Wagasgrrl, Thank you for your feedback. Nice little mix of formats. Win 10 x64 Pro. No issues. Just did first HOG piece. Geez some of those objects can be well hidden. Just missed first try given the random clicks penalty was aware of till began. Then time slipped until caught trying to find a 'torso'. Never did get the tip in time to know what the heck? Had looked all over but no body or whatever that refers to. At least on this level there were no Open box first to find X hidden object. They were all up front. On second try there's a saving grace in that a few of prior tries objects will reappear in more or less the same location. As you find one on initial list, another fills in thus you still won't know what fresh ones might come up in second (or more lol) attempts. Seemed to be about 20 each time, not all the same though. Just watch the random click penalty and be fine. Sliders for sound/music which are decent. For its genre seems a 8.5/10 depending on your taste for these. Like that could d/l immediately rather than all that other hoop jumping lately. Hope this helps people with disappearing pointer. I was having the problem, and I went to the options on the game and messed around on my touch pad till I could uncheck stylized cursor. Once I did that, I had my pointer. Good luck, hope it works for y'all. I have had this game for awhile and have played it many times. It is great for rainy (or hot) afternoons or anytime you need a break. The hidden pieces aren't too obvious or too hard but I have been stumped on one scene (won't spoil it) when I couldn't find a piece to continue but I worked it and found it. The Tips regenerate quickly enough. My greatest compliment has to be with the graphics, they are rich, near lifelike and very well done. Since I have this game already, I don't need to partake in today's giveaway but wanted to share in how much I enjoy playing it. Hi installed and activated. But I can’t find icon or folder. Tried setup again but as before it seems everything was ok but cannot find the game anywhere. Avira anti virus blocking installation after identifying heur/apc (cloud) malware present. Please advise? Download and installation without a problem on Win10 (short disabling of Avira for activation needed). Played a bit - as you said it's an older game the graphics are a bit corny and the objects are hidden really well. I am not sure if I already played this game some time ago or one with a similar layout (with the chapters in a time line above). Thank you very much for this one - love it. Download and installation without a problem on Win10 (short disabling of Avira for activation needed). Played a bit - as you said it's an older game the graphics are a bit corny and the objects are hidden really well. I am not sure if I already played this game some time ago or one with a similar layout (with the chapters in a time line above). Thank you very much for this one - love it. Downloaded and installed fine on W7 64 bit. The game is not terribly exciting but I can see myself playing this to the end over a period of time. I like that there are different puzzle modes. So far I'd had hidden object, find the differences, find all of one particular item (ie - all birds), and assemble the picture. Also nice that there is a storyline with this but so far it entails reading it. For very young players that might be an issue. My biggest complaint would be that the graphics are not super crisp, though they are well done. I don't know if my screen resolution has anything to do with that. I give this an average score. Thank you for your feedback Nancy, it's probably the fact that this game is at least 7 years old, and was created before HOG's became big business. Now HOG lovers expect crisp and amazing graphics, with animations and original puzzles. At the time this was released, mini games were fairly new for such games. Are static games so interesting? Really? I remember playing this years ago and it was a nice little game but now it is too oldfashioned for me. It could really use a magnifier because my older eyes find it too difficult to see the objects. The tip recharge should be faster. Thank you for this nice old fashioned HOG. I had this a few years ago and enjoyed it very much, so its nice to be reintroduced to it. I have pleasant memories ... its not too challenging which fits in for me at this stage in my life (senior)! I like that there are no check boxes to contend with each time I want to play! And my young grand children enjoy playing it with me! Game loaded quickly, with no set-up problems on my Windows 10 - 64 computer. My security program, Norton, gave me no problems. Set-up was fast and easy. I found I missed having a relaxed mode.... ran out of time before I found all the objects in Chapter 1!!! However, that was my fault for lollygagging and not using the tip more. Objects were not as easy to find as I had supposed they would be! The music is relaxing. I'm not looking for the game to be historically correct so that didn't bother me. I play these rather mindlessly most of the time. Haven't gotten to any mini-games yet. While it doesn't have the souped-up graphics of recent games, they're pleasing non-the-less. Thank you for your feedback Granny. :) :) :) The relief at finally getting my main computer back was almost overwhelming as I have relied on a decent gaming computer a lot since my accident. I pay a six monthly subscription for one of my favorite games (The Elder Scrolls Online). It's no longer compulsory, but paying for ESO plus gives a lot of advantages, so I pay two six monthly subscriptions for myself and my daughter. I actually purchased the game three times, but my son only plays occasionally, so the extra £80 a year per account isn't worth it for him. I've not been able to play since early July because of the problems as the rest of my computers don't have the graphics power to cope. I'm still waiting for a second graphics card as I decided to double up so that I could play one of my other favorite games (Microsoft flight simulation) with all of the environmental add-on's activated. There are so many improvements that previously, even my top end computer wouldn't cope with the graphic needs, even with 6GB of gRAM. with a second GTX980 Ti graphics card I'll have 12 GB of gRAM, which should be ample, considering most new games need much less. I went to the compatibility mode and click on Run this program for Win 7. Run in 640 x 480 screen resolution and Disable display scaling on high DPI settings. etc. ... but the cursor still doesn't appear (although when I tried running it in 640x480 the cursor did stay around for a while longer). It looks like a fun game. Oh well, this is the first one I have had trouble with. Maybe it's my touch screen (which I never use). Hi Anne, check the FAQ's thread to see if there are any other suggestions. I'd make sure you are running the latest drivers for whatever graphics card or graphics chip your computer uses. Often these types of issues are related to the graphics drivers/software. Hope this helps?. Hi Lady Dynaballs, often it's the way a community member has their computer set up that is the casue of the problem. There are so many different ways a computer can interact with the software that is running, or conflict, for example drivers may be out dated, or the game may conflict with other programs running in the background, tohugh generally with older games on newer operating systems, going into compatibility mode and experimenting with the changes that can be made will probably fix the problem. For more information and possible fixes, check out the FAQ's thread that i link to in my review above. I hope one of the fixes will help you enjoy this game more..
My cursor has disappeared after starting game. Makes it a real challenge to plsat the game. Will have to try compatibility mode, seeing as I'm running Windows 10, 64 bit. Did changing the settings help? The timings are very generous though. 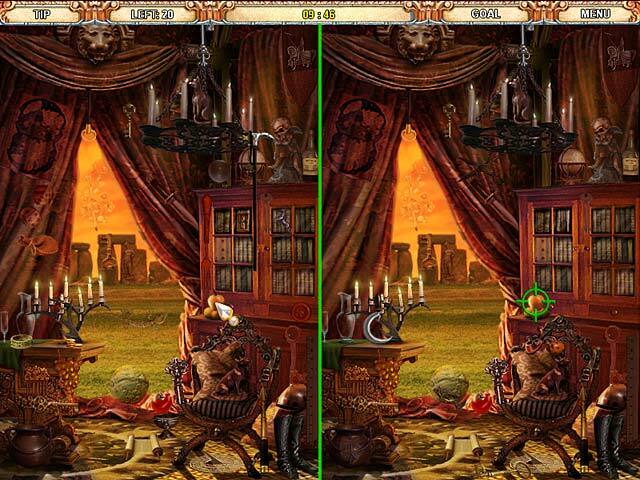 Simple, fun, hidden object and 'find differences' game. Graphics not very modern. This is an older game, the way they used to make them years ago. Doesn't mean it's not a nice game. You just have to flip that switch inside your head that expects something high end, and you'll enjoy yourself. Reminds me of the I spy games i purchased for my kids 10 years ago. Downloaded quickly, installed fine and played well on Win 10 pro 64 bit. Didnt need to use compatibility mode or change any settings. Nice set of mini games so far. Pleasant music. which actually shows what you're looking for. You'll probably find that your anti malware suite has deleted the set up file, or part of it becasue it contains Themida code as part of the security wrapper. This was added to stop hackers from stealing the games executable. Themida code can also be used to hide malware, which is why some security software tags it as suspicious. To install the game (which has been tested for malware using several different anti malware suites) you may need to temporarily turn off your security software. If you are not happy to do this, then i suggest you download the game directly from MyPlayCity, making sure when you install that you uncheck any check-boxes that may appear, otherwise you may find your home page changed or toolbars installed to your browser, or even your browser provider changed. When you are downloading the package, your AV could see it as malware and blocks it. Users reported problems with these antiviruses, in past months/years: avast, avg, Kaspersky, Norton. Hi <b>not now</b>. What antivirus are you using? When you are downloading the package, your AV could see it as malware and blocks it. Users reported problems with these antiviruses, in past months/years: avast, avg, Kaspersky, Norton. You could try these possible solutions: 1) put the setup.exe in the whitelist of your antivirus 2) disable the real-time/on-access scanning, just the time to download/install the software 3) boot windows in safe mode with networking, just the time to download/install the software <em><strong><ul><blockquote>...........................Moderator Comment................................</blockquote></ul> <blockquote>Thank you for your feedback Xilolee. :)</blockquote></strong></em> <blockquote></blockquote> Hope this helps. This did not work straight up so I went to the compatibility mode and click on Run this program for Win 7. Run in 640 x 480 screen resolution and Disable display scaling on high DPI settings. All in all a great game from years ago. Thank you. Thank you for your feedback Suzanne, appreciated. Hi WuWu, it plays fine on my win 10 64 bit. "... I went to the compatibility mode and click on Run this program for Win 7. Run in 640 x 480 screen resolution and Disable display scaling on high DPI settings. " FWIW you can also right click the .exe file for whatever game or app & run the compatibility troubleshooter in 10. You can also do the same thing for .exe setup files. Doesn't always make much difference vs. the manual settings, but sometimes it helps & some might find it easier. Stephen, Either that was a VERY dry reply or your humour filter is set to max.! Actually, I'm wondering myself how Suzanne's Win10 has one extra bit, but there you go. mike, that is exactly what I did. I only worded it that way because the troubleshooter gives you more ways than one to do it and I found that one to work perfect.